Hygiene is crucial inside a kitchen. 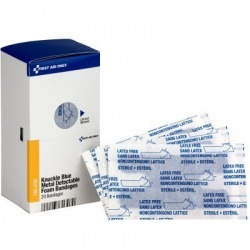 The regular bandages are made with colors that can easily be disguised inside food. 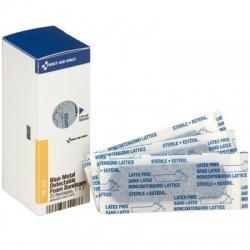 With our blue metal detectable bandages that come in different shapes and sizes,you will easily see and detect contamination in the food, so your dishes never leave the kitchen with anything that wasn´t meant to be there. 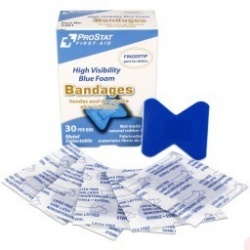 Blue Metal Detectable Bandages There are 9 products. 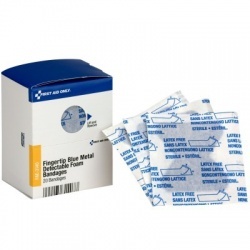 1"x3" Blue, metal detectable woven bandage - 100 per box/Case of 12 @ $8.50 ea. 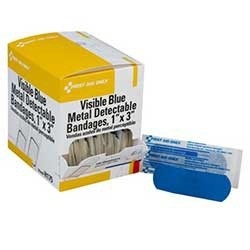 1"x3" Blue, metal detectable woven bandage - 100 per box/Case of 12 @ $8.50 ea.